The Distinguished Staff Award annually honors 12 individuals for their outstanding achievements, service, leadership and dedication to The Ohio State University. 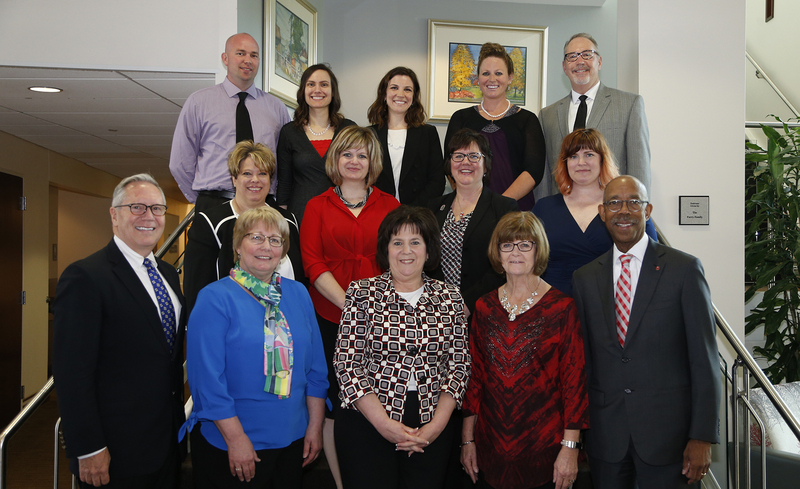 The Distinguished Staff Award is the highest honor bestowed upon staff at the university since its inception in 1984. Nominations for the Distinguished Staff Award will be accepted December 3, 2018, – January 18, 2019. Complete and submit the requested nomination materials to nominate a staff member. Recipients are honored at an annual luncheon and each recipient receives a $1,500 cash award, $700 base salary increase and crystal trophy. Honorees are recognized at a spring luncheon with university leadership and guests of the award recipients. All part-time and full-time staff with a minimum of five years of continuous service at Ohio State in a regular non-faculty position may be nominated. Previous recipients of the Distinguished Staff Award are ineligible for nomination. Enhancing the quality of work life in ways that make a significant difference for colleagues or customers. Providing outstanding and ongoing excellence in service to faculty, staff, students, community, and/or other customers. Developing creative solutions to problems that result in significantly more effective and efficient department or university operations. Consistent demonstration of one or more of the university’s values: Excellence, Collaborating as One University, Acting with Integrity and Personal Accountability, Openness and Trust, Diversity in People and Ideas, Change and Innovation, Simplicity in Our Work, Empathy and Compassion, and Leadership. Congratulations to all past recipients of the Distinguished Staff Award. Thank you for your dedication and contributions to the university. Read more about their achievements and the impact they are making below.